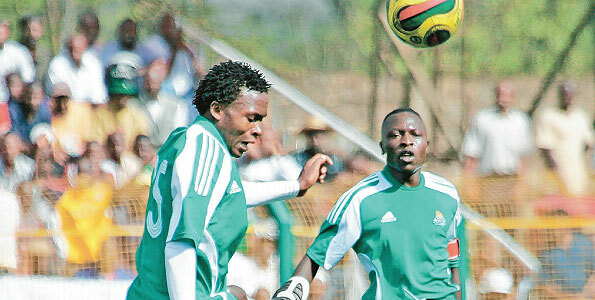 Gor Mahia have resigned their former striker George Blackberry Odhiambo on a one year deal. Club deputy secretary general Ronald Ngala said the player has already linked up with his team mates for a nine day camp in Loitoktok. -He was a free agent and considered resigning him from Armenia, he joined the rest of the team in Loitoktok. A story posted on goal.com suggests that Tanzanian daily Mwanaspoti claimed on Tuesday that the Scott tactician has agreed personal terms with Yanga paving way for him to leave. The daily reported that club chairman Yusuf Manji, who arrived in Dar es Salaam on Monday after an overseas trip, was scheduled to okay the deal to sign Williamson. “Yanga have agreed personal terms with Williamson which includes buying out his remaining six months at Gor Mahia. The deal was delayed due to the absence of Manji but once he agrees to it, it is done,” the paper said. However, Gor Mahia chairman Ambrose Rachier denied the reports insisting that Williamson is going nowhere. “I received a call from the Vice-President of Yanga inquiring about Williamson. But after talking to the coach, he was very categorical that he wants to stay at Gor Mahia. Such reports are therefore, untrue and have no basis at all.” said Rachier to goal.com. He accused Yanga of being desperate to get a coach and asked them to look elsewhere. Now Yanga are in the process of searching for a new coach. There were even media reports that Yanga were trying to grab Zdravko Logarusic from rivals Simba ostensibly because the Loga led Simba recently drubbed Yanga 3-1. Talk about unstable. Glamorous neighbors Azam are not much better. Having grabbed Stuart Hall from Sofapaka, they fired him within one season. Last month, it was announced that Edwin Lavatsa had signed an extension along with three other players. Yesterday, secretary Bwana told goal.com that Lavatsa indeed never signed an extension and is set to move to the Mid East. Now Vice Chairman Faiz Ochieng tells futaa.com that the player will sign an extension in the near future to stay at the club and added that the club does not know of any interest from Middle East clubs to sign him. Faiz confirmed that at the moment the player is in camp with his team mates in Loitoktok preparing for the 2014 season and assured that the club cannot bar a player from leaving if the right move comes through. -Lavatsa is currently in Loitoktok training with the team and there is nothing we know on the said Middle East move. No team from there has approached us so we treat those as rumors. -The player will be signing a new deal with Gor Mahia soon but let it be known that we are not against players going to the Middle East, only that the move has to be right. We do not want our players cheated only to go there to play in tournament then afterwards remain without a club, he told futaa.com. Lavatsa has lately been in great form and was integral in the Kenya national team Harambee Stars’ run in the 2013 CECAFA Senior Challenge. who is in charge of housekeeping in Gor?we never seem to read from the same script…its like some kind of competition between the officials to see who can say more than the other to the media!! !its pathetic to be honest…. SOMEONE IS TELLING ME THAT ZEDEKIA ZICO OTIENO HAS SIGNED TWO YEARS CONTRACT AS ASSISTANT COACH IN GOR MAHIA. @Jack Omollo, as much as that sounds funny, i wouldn’t mind the idea. What if GM makes a go at the legendary Siang’a? I don’t know really but truly the way things are done at GM i don’t think any coach with choices like BW can stay. The current EC has just embarrassed GM fraternity by doing all their businesses in the media. No one seems to be in control at all, these people have shown gross indiscipline and ugly recklessness, i wonder why anyone of them still believe they have anything to offer at GM. In terms of management NO. GM already have a competent assistant coach in Bobby Legend. No need to bring Zico or Sianga. Now we need competent officials to run the club. Does it not bother Bobby Williamson that he has never won a match against Efusi (and against Zico even at the national team level)? Now that he is leaving, when will he ever get such a double-edged opportunity? @ 1 fred odhiambo – surely there seems to be no one in charge. The officials are ‘competing’ on who will ‘sign’ players first or ‘talk to media’ first so we are really getting unconfirmed reports left-centre-right! @ 2 Jack omollo – that statement is untrue because we already have an assistant coach. @ 3 The Villager – signing two assistant coaches is unnecessary given the financial implication involved; not unless you are saying John Bobby Ogolla to be sacked and be replaced with Zico. @ 6 Barefoot Bandit – I agree. dubbies iko na wenyewe. You cant beat Logarusic or Zico in a derby. How many coaches do you think Logarusic has indirectly ‘sacked’ by beating them? Anyway, EC should now look for a very good replacement for Bobby Williamson. Just like Logarusic, he(Williamson) came to make his cv which he has done and so he has to move on and life continues like that worldwide. @ Jack Omollo wachana na GIK MA KAMAGO, Or may be you are referring to a different club from the one I know. I have already had enough and I don’t want to comment further. Really pissed up with this confused and media-crazy EC with their “Situmbeko’s” ma mbekore and the “Kenga’s” ma kengore anytime you come across their signing saga. “Kogalooooo, Goooor…Gor Mahiaaaa.. “Kogaloooooooo, Goooor…….Gor Mahiaaaaa.. Kogalooo Yeeeeeh.. Gooooooooor “Pinje /Timbe” duto ywakni,. Isn’t POWER DYNAMO crying all the way from Zambia because of stalking Situmbeko . That is Gor for you. Isn’t BANDARI crying all the way from coastal region because of stalking Kenga . That is Gor for you. Isn’t KK HOMEBOYS crying all the way from western region because of Shakava . That is Gor for you. How about YANGA claiming ownership of Bobby Williamson all the way BONGO LAND. That is Gor for you..!! And don’t forget that LUGARUSIC and his Ma-donkey and Mosoti-Soja are still singing the same Gor Mahia tune. And many more are on the way like yester years we had JA-BRAZIL and JA-NIGERIA ; this time we have JA-ZAMBIA. Am really enjoying reading about Gor Mahia whether in good and worse news. Tomorrow we will get the latest courtesy of either, G Bwana, Kilo, Magak, Faiz, Ominde or Nyadeng and not forgetting Gor Mahia himself. KEEP IT GOR MAHIA. YOU HAVE BEEN BUSY IN THIS TRANSFER WINDOW AND LET US HOPE YOU WILL SETTLE DOWN VERY FAST. Zedekia May Just sign for Gor as assistant to Sir Bob.May be the EC has realized that anything good we have this side of Town will always be grabbed by the likes of Simba and Yanga.How else do you explain a scenerio where two rival teams have,in their respective dugouts,managers who have coached one team across the border?So Zico may well come in as Bobby’s Assistant.When Bobby is poached by Azam next season,the EC will promote Zico to summit of the ladder then Peter Dawo Omuga comes in as an Assistant coach.Good luck to Zico-if is true. 1. The players he had approved to sign, gor mahia did not bring them on board. He had personally requested for Emanuel okwi, but we lost the player to yanga wo was a free agent. There were also others e.g Francis kahata among others and a few others from uganda, malawi and zambia. 2. Gor mahia forced the coach to accept certain players against his will. Here are the likes of new recruits e.g Rama salim, George odhiambo, Aaron shakava whom were not originally planned for. The coach felt sabotaged and short changed . Even Paul odhiambo was supposed to leave the club and a few players loaned out, but politics would not allow. BW insists on working with a maximum of 25 players but nobody wants to listen! 3. The coach had requested for 3 week training camp in kisumu but he got a 9 day boot camp training in loitoktok. The coach felt that the players may not have adequate time to adapt to his tactical formation . This created a rift between the technical bench and th coach because high altitude training is for physical sports like running not tactical sports like football. 4. Shocking levels of ineptness at the gor mahia management. Th executive committee actually forgot their responsibilities and were busy campaigning for elections at the expense of the players welfare. Some players contract runned out and nobody bothered and there is even a strong discontent that some players were out on monthly rolling contracts. Guys if this emerging stories and accusations is true , it doesn’t matter which coach we bring on board unless we professionalize the club ! I will not be surprised bobby Williamson did not go to loitoktok and instead chose to sit back and fly to Tanzania to sort out his other contract. It is no wonder everybody in gor mahia is talking about transfers to the press…..why can’t we leave the transfers to th chairman of the club ? We seriously do not need all the hyping deputies and assistant deputies in modern day football. Lets take matter seriously and deal with the real issues!!!!!! @ Jakoyo please quote your source. And also confirm if ZICO is back. ZD & JBO is like Kirr & Machar..
You will immediately encounter hostility, sabotage and players go slow. By the way Jakoyo that Paul Odhiambo is still a gor mahia player this season? HOW DID HE SURVIVE? Correction Though R.Ngala is one of the 5 GM secretaries he is not the Dep.Sec rather he’s the club’s secretary. Dep Sec is R.Achieng best known 4 fundraising 4 re-election bid. Any serious coach would abandon the current GM especially when on a 6 month contract. I bet few club’s can match the monetary terms given to Loga/BW but few cn stomach such a clueless,incomptence & vested not 2 mention bloated office. @ogango Trailer, post on 12 is more interesting. ZD and JBO are like Kiir and Riek Machar. You have made my day. This Gor Mahia EC seriously needs team bonding. The players should have gone to camp in Nyabondo while the EC goes to ‘high altitude’ team building at Loitoktok. At this rate I don’t know what news I will wake up to tomorrow. Every semblance of running the team professionally has been rubbished by the jostling in the EC. When is the last time the boys were taken swimming? Am still repeating zico might come back and this is from reliable sources,what i just fear with the guy is discrimination and division among players.why should someone leave sony where he is a full coach and come to be assistant coach in gor mahia…..?we should ask our self that question then in case he comes who will be senior between ogolla and zico…. ?i see this team splitting in peaces due to sabotage from coaches and players incase they allow zico to come back to gor.with his security from gomongo and mathare who are ready to kill because of zico God help gor mahia.i ncase zico is coming then it may be a strategy to send bob williamson out of this club which might have a great side effect in this team since he has selected the players he want to work with.otherwise let us wait and see but zico was called and he accepted that he was processing his ways back to gor, so let us wait and see for it to be made public. .. that Ziko’s negative influence (of bhang smoking, mobile phone calls during training by players, bribing TB 4 a place in the starting squad etc) were deeply rooted. My mistake was thinking twas A PLAYERS/TB DISEASE INSTEAD OF THE EC. ONLY OFFICE has remained intact & reverted 2 the money spending sprees like Ltoktok which we religiosly did 4 17 years with no league trophy. I ASK AGAIN WHEN WILL PUT FOOTBALL FIRST, MAKE PLAYERS NOT OFFICIALS A PRIORITY, STRUCTURES NOT PERSONALITIES GM’S BASE! ZD was a failure and bring him back will be counterproductive to the club football. AR was be told the fact that ZD should not be allowed back to the club and let him stay away in Sony otherwise the temperature will be raised to a greater level if he is seen in TB area. ZD should not accept this appointment to Gor Mahia technical bench because very soon he is going to be jobless. AR and Executive should listen to fans on ZD matter. AR should listen to us as fans on appointing the assistant coach. Brother jakoyo what’s your source of information especially on the reasons why BW resigned?Is there a person who Can weigh the sins of another Without putting his thumb on the scale to increase the gravity of the other persons sin?Any chance your informer may as well be an anti EC mole?I thought Yanga’s interest in BW services is well documented in this site.Is there a club in Kenya that can hung onto any of it’s players or Managers if Simba,Yanga or Azam come calling.Ask Sofapaka.Ask Logarusic.Why don’t we consider BW’s exit a blessing because a great number of bloggers didn’t like him as a coach.By bringing back Zico,if it is true he is back,the EC has just done what we were crying for on this site:Gor’s traditional free flowing soccer.We lambast our TB when they go we cry.Me thinks the much maligned Bwana will be labeled a traitor if he could efusi as their SG.I am told we once booed some player called Zangi when he joined efusi he became our number one enemy.The same,am told happened to Shebe who also followed Zangi to the den.Comrades,we are a hard to please lot.Sometimes I think we need to take self inventory before we even castigate the EC for its ineptness.People naturally hold property,wives or jobs the moment they realize those are privileges possible to lose. @Baba Travis, I totally agree with your points. Gor Mahia fans are the most ungrateful fans in all circumstances. We do not appreciate any positive development but we keep on poking holes even in good developments. I have just read in Daily Nation sports entitled Bandari to release Gor-bound Kenga. Is this not positive news bloggers. To me the reasons outlined above by Jakoyo are obvious and i don’t need to verify them, these are open facts we can all see from the gaffes made by the GM EC in the media. So Kenga is now “Gor-bound”? The kengruok surrounding this Kenga move is a clear reflection of the kengaroo manner in which the whole deal was handled. Why don’t we ever get our signings to just run smoothly? It is high time that we got a leader with a reformist mind. Eblazing Diva can you please save us from this misery. Vie for the chair. I am tired of ndalo machon. @Barefoot Bandit, Gor Mahia does not only require a reformist mind but a leader with a deep pocket as well. You cant run a big team like Gor Mahia with an empty pocket or begging mission. Below are the proposals I had made several months ago and am going to handover these proposal to the new office that will come in. @ Erico zico has a tendency of favoritism and this is what he has been known for all the times, the guy does not have integrity.we don’t have time with a coach who will divide players to those who bribe him to get number or playing time,those who he chews with mogoka at kariobangi to the others he drinks with beer at umoja and the rest.Gor has tremendously improved in the last two years because the coaches we had was fielding players on basis of performance lakini sio mambo ya mtaani.so zico the biggest percentage of gor mahia fans cannot allow him to be back because the time he was here he had even his goons who were beating people who were against him, so in case he comes back let him be ready for a tag of war from the fans and he will go within days so let him not risk coming back to gor.To add on it the recent thing he did for gor with kasaya just the other day at sony is still fresh in our minds,let the guy just stay at sony why should someone leave where he is a full coach just to come to gor to be second assistant coach…? there is something cooking.Rachier should not run gor as his own kindergeten though of late he has done a good job of late in recruitment,but zico abig noooo..
@ Jack omollo talk about yourself not we,coz some of us knows what a good coach is,apart from Sianga Ziko is the best coach just look at his records even with the national team,for those who were there when some of u guys were beating Sianga in thika i said something but Gor being the home to hooligans they almost killed me when we were protecting Sianga from the rowdy mob n i told them something n some of them came back to me to say i was right. Ayi yawa. Not Zico again. Gentlemen these rumours about Zico making a come-back may be true after all judging from this latest remark by George Bwana: “-Coach Bobby is here to stay…As a matter of fact, we are working on a longer contract..We are just looking at strengthening the technical bench in preparation for what promises to be a tough and explosive soccer season. So kindly manage the speculations, he posted on the club’s Facebook forum, GOR MAHIA FC.”. That “We are just looking at strengthening the technical bench…” is really telling. God have mercy. The statement is courtesy of http://www.futaa.com/football/article/gor-mahia-keen-on-keeping-bobby. @Erico please bare with us in this blog as the behaviours exhibited by our fans out there are also replicated here but in a subtle manner. Even the current coach has not been accepted by some of the bloggers. All you need is to retrieve some contributions some few weeks back. So are we saying that Zico cannot change his wayward behaviours? And was he doing the same when with the same boys HS was doing well. And by the way some or all these accusations could be hear-say. Even Loga had his critics about his nite life which made some players uneasy yet we still have those rooting for him. All the same I’m not rooting for Zico but what I’m saying is that we should never close the doors and thoughts to anything.So I can assume that it’s our nature and way of supporting the team by diasgreeing either violently or loudly. As much as we cannot pull in the same direction all the time nature dictates that at some point we meet and agree on a common issue but this is proving to be too hard. In a few weeks time when we will be doing well you will find that we will forget where we came from and all willl be praised only to be admonished later on. Ooh Laa la..!!! ” ZICO COMEBACK?.. BRING IT OVER”…!! @ Erico Jarae it’s “WE” and not “I”. Be informed that @ Jack Omollo opinion on ZICO’S comeback is shared by other silent voices in this blog. I beg to support him. @ Jack Omollo stop wasting your energy with ZD issue and let the EC BRING IT OVER and thereafter we will respond accordingly. This will not be a blunder but a tragedy that the EC will have themselves to blame. @ Barefoot Bandit “WE” are waiting for official declaration. Dealing with ZD is so easy. In fact this guy will pay for so many ills that he did not commit. @Dan what omollo is saying is somehow right zico does not have respect for homself we used to be with him at kariobangi.my friend we need a coach that can behave himself well and show others a good example but not a coach who seats on the verandah in open place chewing mogoka with the people he calls boys.The guy used to be my neighbour and i know him very well if it is amust that he is the one to be here,then it is we as the TRAILER has said it.To jarae guy you will just give us some space i saw a guy being beaten thoroughly at city stadium by his goons just because of saying that zico must go.And the people who were beating the guy were his goons whom i knew very well in fact some were my neighbors from kariobangi claiming to be his security,in short myself i don’t like him jarae you can take it to the bank. The EC should give official statement on this matter of the coach and also on other issues that has set the grapevine mill running 24 hrs.It is a nightmarish experience being a Gor supporter especially now.Every official is a Gor Spokesperson.You don’t know who to believe and who could just be creating stories.Media and nets are awash with reports of the coach being in TZ,of Gor’s failure to lure so and so…..I implore the EC to update the fans.I have just read in michezoafrika that BW,who is alleged to be in Tanzania already,is actually in Loitoktok with the players.Bobby Ogolla is also at Loitoktok.Sony is not aware of Zico joining Gor.BW,according to Faiz,will sign a three year deal with Gor.Jameni sasa nimepigwa butwaa.Sijui la kuamini na WA kusadikika.A luo friend and fan of Kogalo has told me that these reports have fought his mouth zero-whatever that means. @ The TRAILER IT IS WE and there is no turning back,if he want to remain jobless just to resign at sony and come to seat on gor mahia bench just for a day then bring it on.AS other bloggers have said what is good in gor mahia that a person leaves a team where he is a full head coach to be second assistant coach….bring it on mr chairman.we don’t want division within the playing unit and a situation where some are more special than others gor is not shamba la wanyama.We know zicos behaviors and his youths.otherwise let it be made public that he is back. What will u people do if he is appointed to the bench? Kenyan Premier League champions Gor Mahia are looking to strengthen their technical bench ahead of the new season. According to Secretary General George Bwana, the team wants to strengthen the backroom staff to ensure that they are strong enough for next season. Gor Mahia will have a packed calendar next season; expected to defend their domestic title, represent Kenya in the Caf Champions League, Top 8 Cup, Gotv Shield and most likely Kenya Power Charity Cup. “If you look at most teams who participate in Caf Champions League, they have a very rich technical bench with the coach having a huge list on his backroom staff. We are looking for two individuals, who will assist coach Bobby Williamson and assistant Bobby Ogolla. We are yet to settle on specifics but we will finish up soon,” Bwana told Goal.